The most special and waited time of the year in every single family is the Holiday season, pretty much starting at the Thanksgiving at United States, followed by Hanukah , Christmas and New Years Orlando has for every taste diferents events to celebrate. In one of the most visited time of year, is important hurry up to book your discounted vacation package specially because the ones that are discounted sold out pretty quit. Airfare or driving, the hotel expenses and the admission of the theme park are just some of the big expenses that you have to cover perfectly. Orlando Discount Tickets USA has for the family 2 great alternative deals to help you and your family get great saving when traveling in the most expensive season of the year. Orlando Disocunt Tickets USA first discounted deal offers hotel accomodation on a hotel, resort or vacation home and the first 2 adult tickets with savings of about US$300 dollars. We still have availablility in some of our star vacation packages of hotel and villas. $195 Disney Tickets Promotion: A total of 5 days in Disney, 4 days at the mayor theme park: Magic Kingdom, Hollywood Studios, Epcot or Animal Kingdom plus one optional park of Disney that could be Tyhoon Lagoon or Blizzard Beach. The offer is $195 dollars per person. 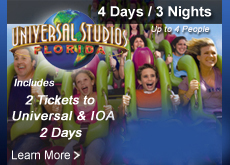 The offer are getting sold out quick during the Chritmas and end of the year so hurry up to choose the Orlando discounted vacation deal that fits your preferences by visiting www.orlandodicountticketsusa.com. The event as the most special events in Disney requires a separate admission that start at the Price of US$74 and goes from 7:00 pm to 12:00 pm. Mickey’s Once Upon a Christmas Parade: Disney Friend in a holiday parade cherring and dancing. A Frozen Holiday Wish: Inspired in the sucessfull movie Frozen, Ana and Elsa and the favorites characters of the movie will transform Cinderella Castle into a glimmering ice palace to celebrate this season. A Totally Tomorrow Land Christmas: A musical venue with the participation of Buzz Lightyear, Mike Wazowski and Stich. Holiday Wishes: A music and Fireworks to let all know that home is where the heart is it. Show is held at Cinderella Castle. Complementary Hot Cocoa and Cookies. Do not miss this oportunity and star discovering all the Orlando vacation packages or dsocunted tickets that Orlando Disocunt Tickets Usa has for your family to make part of this time of holiday celebrations. Who has been in Disney Animal Kingdom probably knows or have seen the Show of The Lion King or Nemo The Music which are show totally spectacular for the entire family. Vivid colors, interactions with the public and use of a lot of creativity and great scenes define this sucessfull shows. Some month ago and along with the construction of the Avatar Land in Animal Kingdom as announced Rivers of Ligh at nightime show that will be located between Discovery Island and Expedition Everest and is espected to be available for the public during spring 2016. The new Rivers of Light Show will feature wáter, mist screens, floating lanterns, lights, fog, projection mapping and live performes. The performance will be a ceremonial event that “will take the special nature of the animals of this land and turn it into a celebration of beauty”. If you have not visited Disney Animal Kingdom visit this amazing park, not to be compare with a zoo and pay for your admission only $29 dollars by attending to Orlando Discount Tickets Usa resort previews. Visit Orlando Discount Tickets USA to book you disocunted vacation package for this comming 2016 keeping still the prices of 2015. The Marriot Gaylor Palms Resort & Convention Center is an extraordinary Hotel that offers every year a walk through experience during the Orlando Florida Holiday season. It is called Ice and it is nothing similar to Orlando Florida sunny weather, because you and your family will be exposed to a 9 degrees during the event. In this adventure you will feel as cold as if you where in Arendelle Kingdom but with beatiful ice carved inspiration of all kind and the Nativity. Because for sure, you will visiting at least one theme park Orlando Discount Tickets USA has the perfect plan for one of the days of your visit in Orlando, you can take the advantage of getting admission for one of the theme parks at $29 per person for the fist 2 tickets by attending either morning or afternoon to a Resort Presentation, visiting Ice at Gaylor Palms at the evening and next day or any of the days you stay in Orlando you can get admisison for a day to Magic Kingdom, Universal Studios, Island of Adventure or any of the fabulous theme parks of Orlando. The price for this fabulous event is $28.99 per adult and $14 per child. Discounts for Florida Resident are available. Orlando as the best destination in the world have all kind of entertainment for you and your family, start planning your vacation package at Orlando Discount Tickets USA. Those who attend to the Mickey’s not so scary Halloween Party would definitely know how cool and different is to be part or a separate admission celebration at Magic Kingdom, the shows, the parades, the special activities and the possibility to enjoy rides afterhours is just something to must do. 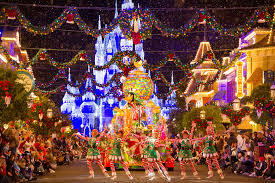 Well if you are planning to get a vacation package this coming Holidays in Orlando Florida Orlando Discount Tickets USA offers you really discounted prices on your hotel accommodations and tickets in the most expensive season of the year and for sure recommend take your chances to get a separate admission for the Mickey’s very merry Christmas party celebrated on Magic Kingdom on selected nights of November and December. The Ultimate Discounted Vacation packages that you can get with Orlando Discount Tickets USA starts at $169 and this price will cover for you accommodation for 4 day and 3 nights and the general admission for one day in Magic Kingdom for 2 adults, can you imagine all what you are receiving when only the admission for one day in Magic Kingdom per person cost is $110.83. Since you can get such a cheap deals we encourage you get in advance your Mickey’s Very Merry Christmas celebration and here you will find useful tips to enjoy this holiday celebration. It is very important that before star covering the different attractions you check the map a create an itinerary of what is realistic to see and enjoy because there are so many things to do and can get very crowed. As an advice include in your plan “A Frozen Holiday Wish” and get on time for Mickey’s Once Upon a Time Christmas Parade and Magic Holiday Wishes Fireworks. If during your Christmas celebration at Magic Kingdom you plan to meet a character choose it in advance and check the locations, they appear with really nice customs for the Holiday Season.In addition here are some high lights for the celebration. 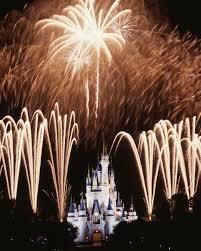 Discover holiday discounted vacation packages at Orlando Discount Tickets USA and have the Holiday Season. El verano en Orlando Florida es una época para la diversión total, el clima, los eventos y la magia de los parques temáticos de Magic Kingdom, Universal Studios or Seaworld, etc son sin igual los ingredientes perfectos para un grandioso verano, sin embargo durante el invierno puede presentarse una gran variedad de interrogantes acerca de si es justificable preparar un paquete vacacional en Orlando Florida, pues vaya la respuesta es un si rotundo y las diversión durante el invierno están grandiosa como la del verano con el ingrediente adicional de que todos los parques temáticos preparan eventos especiales de Navidad y Fin de Año para conmemorar las fechas de este época. La primera etapa del invierno los parques estarán un poco menos congestionados, lo cual es una gran ventaja para incluso repetir algunas de las atracciones favoritas del público. En la mitad del invierno aunque ya aumenta el tráfico de turistas, los parques y sus festividades son un motivo grandioso para agendar una o más visitar a los parques. Magic Kingdom, Universal Studios y Seaworld siempre realizan una fiesta especial de Navidad y el 25 y 31 de noviembre usualmente los parques más populares alcanzas su máxima capacidad de público cerrando sus puertas alrededor del medio día. 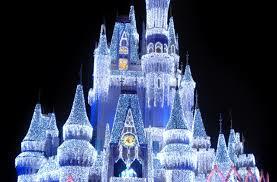 Para planear este invierno 2015 en Orlando Florida considere no solo adquirir su paquete vacacional con Orlando Discount Tickets Usa y las ofertas a precio de descuento en Hotel y admisiones para los parques temáticos sino también tenga presente entonces que el clima aunque no está extremo como en ciertas partes del país es bastante frio, si va por más de 7 días incluya en su paquete vacacional multi dias para los parques para obtener un precio promedio más bajo por día, cheque siempre a qué horas cierra el parque o si están celebrando algún evento que requiere admisión separada porque esto puede desilusionarlo si se encuentra en el parque y debe abandonarlo o pagar alrededor de $90 dólares para continuar la celebración programada, si piensa asistir a eventos especiales en Noche Buena o Ano Nuevo realice sus reservaciones con alta anticipación para evitar quedarse sin plan o pagar precios altamente elevados. Visita Orlando Discount Tickets USA para descubrir todo tipo de ofertas vacacionales a precio descontado para Orlando Florida. Orlando Florida as the first world destination for the families that want a memorable experience on the holiday season have a wide number of offers that sometimes creates a confusion about what families should chose in terms of acomodations and theme parks to be visited. During these Holiday 2015 Orlando Discount Tickets USA has for the families different discocunted vacations packages with affordable prices. All of our discounted promotions for your vacation have an estimate saving of US$320 that we are sure the families need it to upgrade their experience during on their vacation or to cover any expense related with the trip. In order for the families get disocunted prices for Orlando Florida and its Theme Parks the only requirement is assit a resort presentation next day afeter they arrive to Orlando, once the presentation is complete dyou and your family is ready to have the time of their live with all the magic and adventure that parks like Magic kingdon, Universal Studios, Island of Adventure, Animal Kingdon or Seaworld has to offer, specially at this time of the year with the spirit of the Celebration of Christmas. If you are looking for the most cheap vacation package the answer is oriented to a 3 star hotel that includes breakfast and shutle to the Theme Parks, Orlando Discoucnt Tickets USA and their Baymont Inn and Suite Vacation package for 4 days and 3 nights start at $169 and comes with tickets for the Disney, Universal o Seaworld for 2 perople for one day. If you are looking for Resort type, Vacation Villages at Parkway, located very close to the Disney Park is a winner options when yo ar looking the confort of a villa with a equiped kitchen and living room. For those that really want to stay in the hearth fo Disney we have the Wyndham Lake Buena Vista Resort vacation package, the hotel is just 7 minutes walking distance for the Disney Spring and with shuttle service running every 30 monutes for the Disney parks. 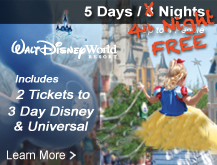 All of the packages for your next trip are discounted, it is very easy visiting Orlando Discount Ticktes Usa you can find the right discounted offer for yuu family during the Holyday celebrations in Disney, Universal or Seawolrd Theme Parks.